A museum’s goal should never be to engage with everyone – it’s a sure way for your message to get lost. But as demographics shift across communities in the US, there are plenty of opportunities to connect with new audiences whose interests may match your own. What’s the best way reach these individuals? Nowhere is there a better place to engage them than – do I need to even say it? – social media. Keep reading to learn 3 ways to use social media to reach and diversify your audiences. Ad fatigue is a real thing. It’s why many brands have reallocated a good chunk of their promotional dollars to influencer marketing, a form of advertising that pays social influencers to drive a brand’s message to their followers. First you identify influencers based on the size of their social following, their strong ties to your niche interest areas (i.e. photography, wildlife conservation, WWII history, etc. ), and your goal audience (i.e. millennials interested in photography). You then ask the influencers to post, while using their own creativity and voice, about your museum and whatever it is that you’re promoting. The goal: authenticity. Why it works: social users trust an influencer’s message over a brand’s. The simplest way to work with influencers is to pay them money. Strapped for cash? Consider giving them a private tour, all-access pass or year membership in exchange for posts that promote your museum, a new exhibition or an upcoming event. The Museum of Contemporary Art Australia accomplished this when they invited local photography, art and design influencers to a private tour of an upcoming photography exhibit. 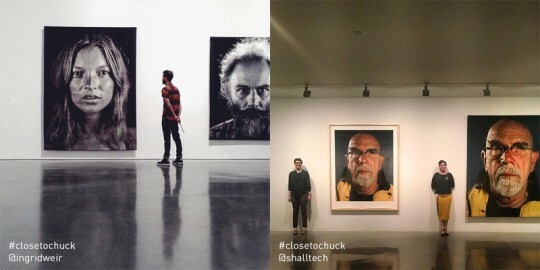 The influencers then posted compelling images from inside the exhibit and encouraged their followers to visit. Do you have an underserved audience that you could and should be engaging with? Instead of asking them to come to you, go to them! This requires a social strategy that consistently delivers on a subject matter that the underserved audience is passionate about. We’re currently employing this strategy with the National Baseball Hall of Fame and Museum. Essentially, the face of baseball is changing. Latinos make up one-third of Major League rosters and a significant part of MLB’s fanbase. But we realized that the people visiting the Hall were mostly middle-aged white men and that there weren’t enough media publishers developing baseball content specifically for Latinos. Our fix? Partner with the Hall to develop La Vida Baseball, a Digiday-nominated storytelling brand built for a community of highly engaged Latino baseball fans. The daily social content we publish for La Vida Baseball allows the Hall to reach 1 million U.S. Latinos a month – and it results in 90,000 interactions and 1.2 million video views. While it’s important to encourage individuals to visit your museum, you must think beyond your walls and consider the people who may never get the chance to visit. We engage these types of individuals on La Vida Baseball by giving them behind-the-scenes looks into the Hall’s collection in our “Stories from Inside the Hall of Fame” video series. Promote each other! Use each other’s influence to create more awareness for your museums! One of the best ways to do this is to draw parallels between each other’s themes and exhibitions, allowing followers to see that their interests can be matched at both of your institutions. Museums in London perfected this strategy with #MuseumInstaSwap. Ten of the city’s museums were sorted into pairs and then visited each other, photographing and sharing anything that resonated with their own collections on Instagram. This digital initiative was hugely successful: #MuseumInstaSwap has become an annual tradition and other big cities like New York and Boston have jumped on the bandwagon. Participating museums now have the opportunity to engage each other’s followers across a variety of interests, ages, ethnicities and more. Today, June 27, is #MuseumInstaSwap 2018! We’re one of the 42 NYC cultural institutions joining forces to highlight each other’s work and the ways in which our work overlaps. We couldn’t be more excited to be partnering with the @rubinmuseum to highlight some of their wonderful exhibits! This year’s theme is “hidden treasures,” and we found many among the contributions to their current exhibit, A Monument For The Anxious And Hopeful, which invites museum visitors to share their own anxieties and hopes in writing. We’re sure that the families that the Tenement Museum highlights through our tours shared many similar anxieties and hopes as they built their new lives within these walls. Sentiments such as “I’m anxious because this city is exhausting and expensive” and “I’m hopeful because I believe that everything will be alright if I work hard” could as easily have been written 100 years ago as today. If you’d like to discuss your social media efforts and how to reach new audiences, please email me at abby@teamworksmedia.com or stop by booth #404 at the AMM Conference in Chicago July 19-20!